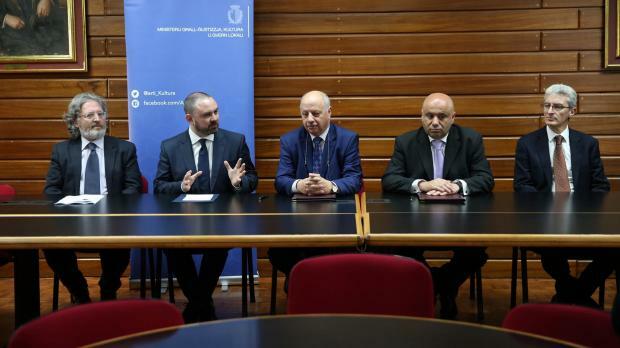 Joe Magro Conti will be appointed Superintendent of Cultural Heritage by the end of this month, Culture Minister Owen Bonnici said on Wednesday. Mr Magro Conti holds a Master’s Degree in the management of cultural heritage from the University of York, a first degree in archaeology from the University of Malta. He also has wide experience on work related to cultural heritage, including excavations on several archaeological sites. He will be replacing Anthony Pace who will now be leading a project aimed to place more sites in Malta on the Unesco Cultural Heritage list. By 1980, Malta had three sites recognised by Unesco - Valletta, the Megalithic Temples and the Hypogeum. But there were more sites and monuments in Malta that deserved to be on the list, Dr Bonnici said. Through the project, more applications would be submitted to Unesco following the required research. The government, the minister said, also wanted to drawn up a national inventory of tangible and intangible cultural heritage so that it would then draw up a clear policy of how to safeguard this heritage and present it to Unesco for recognition.